The Pirate Party says that after months of being pestered to take part in Sweden's biggest gaming festival, it was banned from attending. Gamex, the biggest gaming show in all of Sweden, ran this past weekend and everybody who's anybody was there, from the big guns like Sony, Microsoft and Nintendo to the Swedish Social Democratic Youth League. One group that didn't take part, however, was the Swedish Pirate Party. Despite the silly name, the Pirate Party is actually a legitimate political force in the country - it currently holds two seats in the European Parliament - which on the surface, at least, makes it a natural fit for a convention like this. And according to party leader Anna Troberg, Gamex actively solicited the Pirate Party's participation for months, eventually leading it to book a booth and spring for advertising and hotel rooms. But then the wheels came off. "On Tuesday afternoon, I called a representative of the show with a few simple practical questions, but she seemed generally stressed out and said something vague about the show and not wanting any problems before she hung up," Troberg told Torrentfreak. "I thought it was a bit strange, but in the afternoon, the pieces fell into place when the fair manager, Bear Wengse, phoned me and kindly, but firmly, announced that the Pirate Party was no longer welcome at the fair." Wengse said that Gamex is not a political venue and expressed concern that the presence of the Pirate Party could cause problems because some of their activities "could be perceived as criminal." 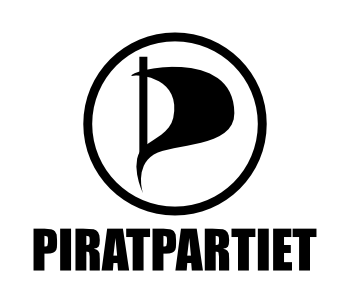 Troberg noted that as a political party, the Pirate Party seeks to change laws, not break them, much like the Social Democratic Youth League, which was allowed to attend despite its support for the decriminalization of non-commercial file sharing. But the ban remained. Nonetheless, Troberg is sticking to the high road in the dispute. She actually thanked the Gamex people for the ban, saying it resulted in more exposure for the party than it would have received through the show. And although the Pirate Party wasn't allowed in, it was well represented anyway: members of the party's Young Pirate group gave away free Pirate Party t-shirts to attendees who wanted to show their support.